I am back with another shaker card...well, I am creating shaker cards all this month, so you will see more in my next post too. 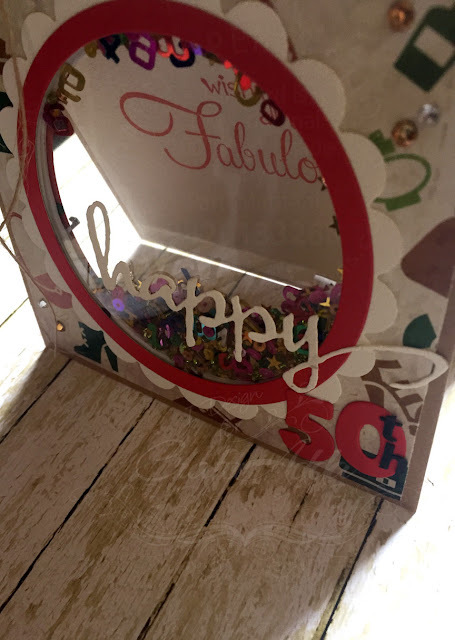 I made this card for my dearest cousin for her 50th birthday. 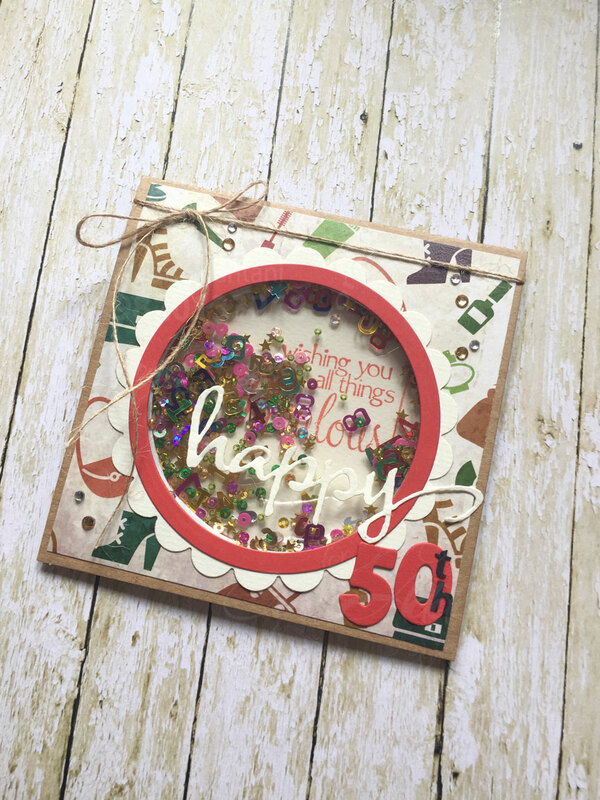 I used a sheet from the Craftangles 'Pyari Ma' paper pack as the base of this card. covered them with acetate and created a well for the shaker elements. I then covered the other side too with acetate to create a see through shaker. The stack is no visible as it is on the inside of the card...actually this was a mistake I made..
but, doesn't look too bad, does it? I had some number confetti in my stash which I added along with some rainbow coloured and assorted sequins. I finished the card with a die cut sentiment from Winnie and Walter. I ran this die cut sentiment through my Xyron sticker machine and adhered it to the acetate. The number die cuts are from Lawn Fawn's Quinns 123 die set. I also stamped a sentiment on the inside of the card, which is visible through the shaker. My cousin loved her card...hope you like it too.